Homkant is the son of a marginal laborer who comes from a remote village called Ner, near Yavatmal in the state of Maharashtra and left his home when many farmers in his area were committing suicide due to the harsh economic situation they were facing. With nowhere to go he wandered about aimlessly for many months. In Yavatmal he came across kids participating in the Zopadpatti Football Tournament one day and before he knew it his life took a new direction. 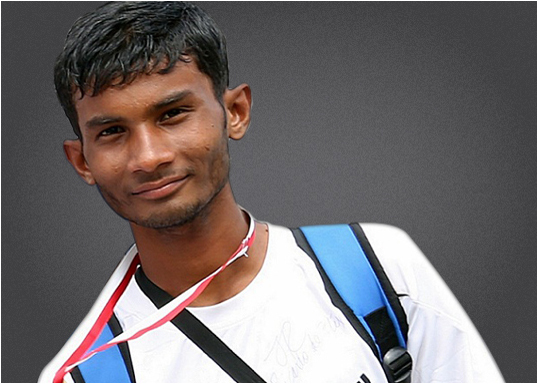 Joining in with a competing team his “can do” attitude was noticed more than his ability and Homkant was successful in the trials for the Homeless World Cup team in 2008, represented India in Melbourne. He was initially designated as goalie but ended up playing outfield too! Homkant is now a full time staff member of KVSN he regularly delivers coaching session to kids from different slums and rehabilitation projects. He got trained under Football Plus Program which was run by HWCF.